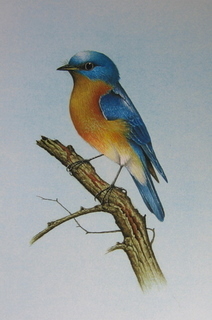 Artist Signed Print of an American Bluebird presented in a cream 14" x 11" mount/mat. 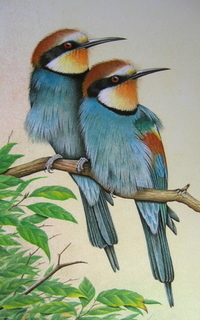 Artist Signed Print of Beeaters presented in a cream 14" x 11" mount/mat. 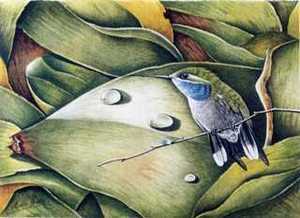 Artist Signed Print of a Hummingbird presented in a cream 14" x 11" mount/mat. 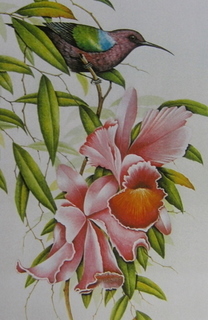 Artist Signed Print of a Hummingbird in Orchids presented in a cream 14" x 11" mount/mat. 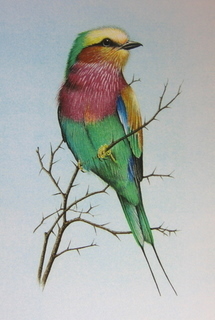 Artist Signed Print of a Lilac-breasted Roller presented in a cream 14" x 11" mount/mat. 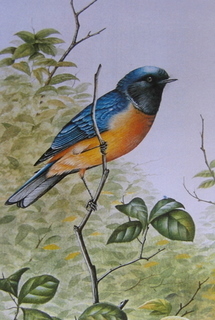 Artist Signed Print of a Rufus-bellied Niltava presented in a cream 14" x 11" mount/mat. 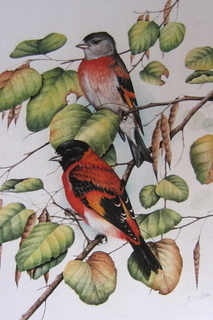 Artist Signed Print of a pair of Red Siskins presented in a cream 14" x 11" mount/mat. 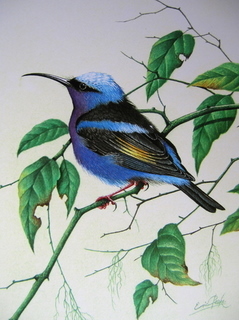 Artist Signed Print of a Sunbird and Orchids presented in a cream 14" x 11" mount/mat. 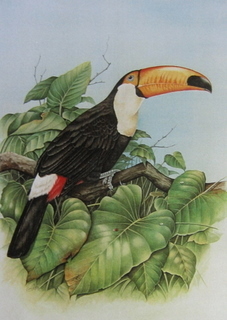 Artist Signed Print of a Toucan presented in a cream 14" x 11" mount/mat. 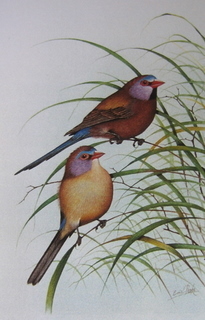 Artist Signed Print of Violet-eared Waxbills presented in a cream 14" x 11" mount/mat. 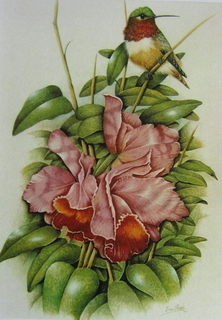 Artist Signed Print of a Yellow-winged Sugarbird presented in a cream 14" x 11" mount/mat.